Community Type: Grand Opening New Model! NEW PHASE NOW OPEN! NEW MODEL ACROSS FROM HOLLY PARK! 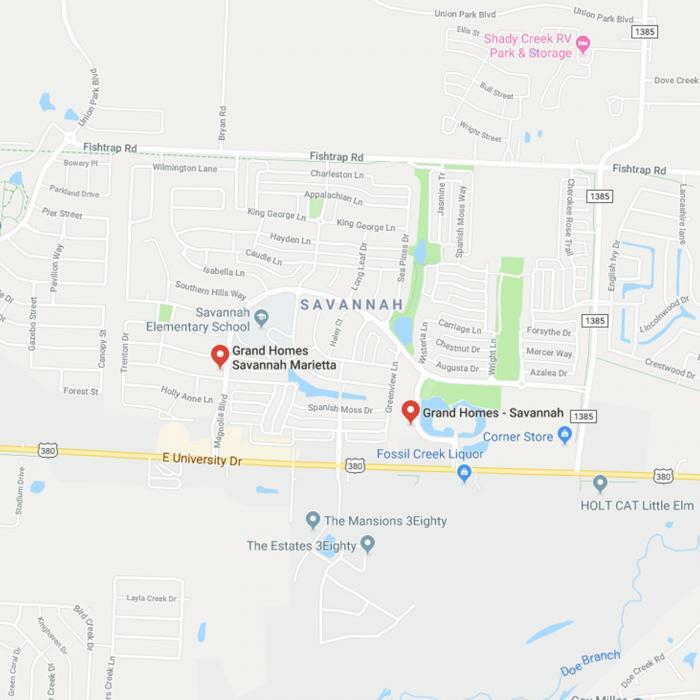 The master planned community of Savannah is a departure from ordinary living with amenities second to none, all in a family friendly small-town atmosphere. Just minutes from major highways is family living at it's finest. Discover Club Savannah, an amenity center and waterpark with something for everyone. Families will love the junior olympic pool, giant tube waterslides, rock water falls and even a resort pool for adults. Enjoy recreation from the covered basketball pavillion, tennis courts overlooking the lake, sand volleyball court, soccer and baseball fields and private gym. Go fishing at one of the five lakes, take a leisure bike ride or bring your family to one of the many pocket parks. Savannah even has its own elementary school onsite. Savannah is where you can have it all and never have to leave home to enjoy the fun! 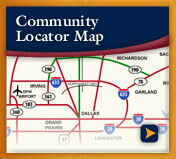 Travel north on the Dallas North Tollway to U.S. 380. 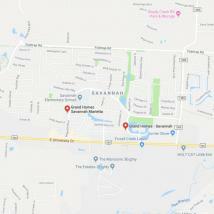 Turn west (left) on U.S. 380 and travel approximately five miles to Savannah Boulevard and turn right. Left on Dogwood and the sales office will be on your right.